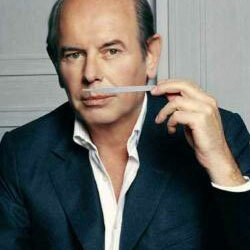 Jacques Polge is a French perfumer. Born in 1943, he was raised near Avignon, France. The surrounding scents of jasmine in Grasse, where he summered, inspired him to become a perfumer. He began as an apprentice under Jean Carles after his university studies. He then worked for a time at Roure (now Givaudan). In 1978 he went to work for Chanel where he was the Head of Parfums from 1978 to 2013, when he retired. His son, Olivier Polge, now holds this position. He was Chanel's third perfume director after Ernest Beaux and Henri Robert.